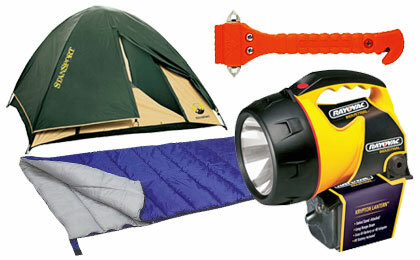 Emergency preparedness supplies for your home, office, workplace, travel and adventure. Emergencies can happen anytime and aren't limited to major natural disasters. Keep your family or coworkers safe and comfortable with our extensive line of supplies for any emergency! From extended power outages caused by an accident to earthquakes and massive storms, at Fire Supply Depot we have the products you need to successfully deal with any emergency situation.